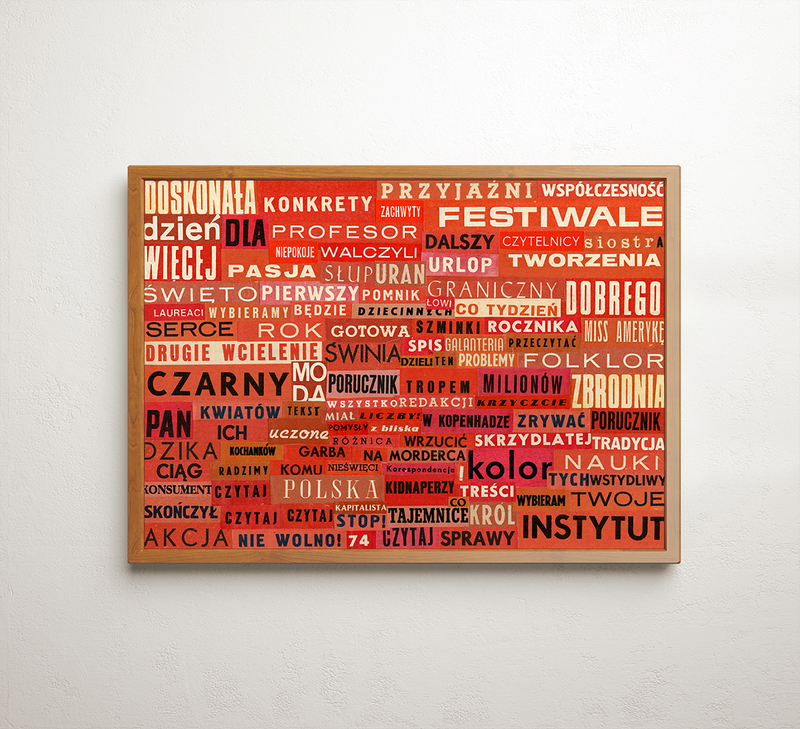 “Words” is a project exploring Polish vintage typography. 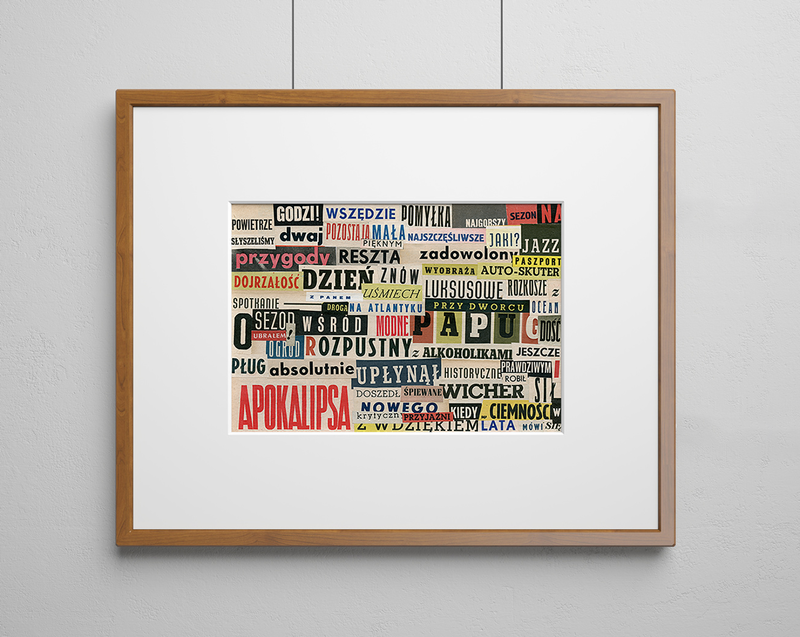 The words were cut up from Polish magazines from 50’s and 60’s and pasted onto a large cardboard. Inspired by Dada, the William S. Burroughs’ cut-up literary technique, and Wisława Szymborska’s word collages.